Now in its second year, this tough route through East Sussex and Kent takes in many of the best climbs in the South East region. The Burgess Hill Rumble cyclosportive organised by SRS Events had over 500 riders sign up to this years event to help raise money for the Sussex Heart Charity. With four different routes of various difficulties there was a ride to challenge most abilities. Excellent facilities at the HQ at Oakmeeds College in Burgess Hill made for a stress free start. Fast and easy signing on a free SIS energy bar set everyone off in a good frame of mind. The longest route was correctly named the Classic Ride as it was just that. 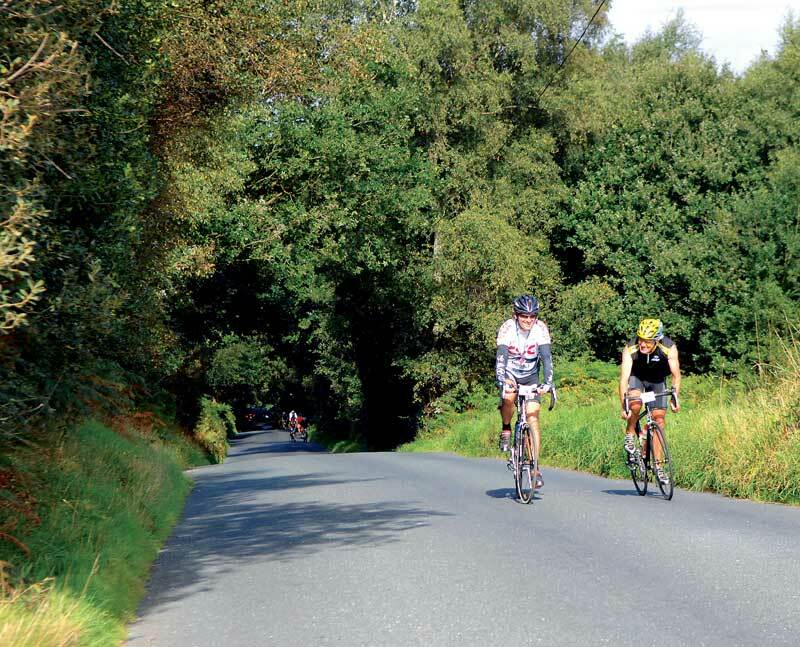 A classic 95 mile roller coaster of a ride through some of the most stunning countryside of Ashdown forest in Sussex and the Weald of neighbouring Kent. Good route planning took in all the best roads in the area. The terrain to start with was relatively flat but soon the scenic, undulating roads of the route started to spilt the groups. Pillow Mounds Hill with its ford to cross at the beginning was one of the first to ease the riders off the saddle. Kidds Hill, also known as “the Wall” locally for good reason, was next on the long list of hills to climb. Groombridge Hill, Yorks Hill, Toys Hill were all on the Classic route which was constructed to really test the rider’s climbing and endurance capabilities and take them to the maximum. Other routes turned off early but still the shorter routes had their own challenges and hills to conquer. A new addition to the course was the 20 percent climb of Cob Lane where the official photographer and videographer were on hand to capture the pained expressions. The use of village halls for feed stations offered the comfort of shelter and real toilets, something ladies riding really appreciated. Homemade flapjacks and SIS kept everyone fuelled round the course. When we set out to organise our events it is important to us to have rides for all abilities. 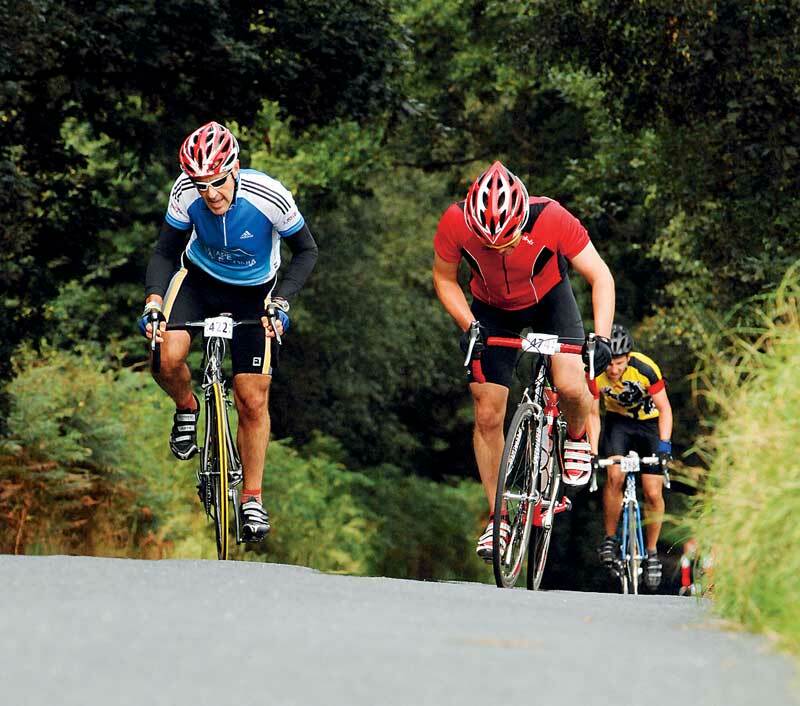 The Burgess Hill Rumble Cyclosportive this year had four distances. Offering this choice caters to both beginner and more experienced riders. We hope by offering this choice it will enabling all types of riders to test their ability against others and hopefully bring more people into the sport of cycling. I was pleased to achieve a personal best. I didn’t find the infamous Kidd’s Hill to be particularly challenging although the short and steep Cobb Lane climb near Ardingly comes as a bit of a shock late in the ride. The route took in some of the best hills and lanes in the region. 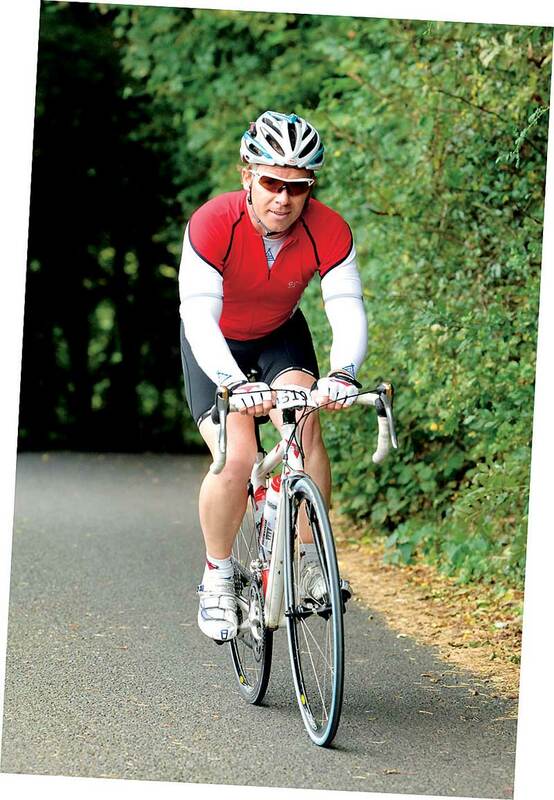 Being my second year of 100 mile sportives I was ready to take this one on. A school boy error of missing the first feed station made me bonk at the 40 mile mark but after a rest, a banana, and some gels I continued. The ride was tough with two 20 percent climbs but I managed to huff and puff my way round the course OK in the end. This event is superb. It’s got everything; scenic roads and the right amount of hills. I was well chuffed with my time but ride of the day was 19 year old Daniel Tilley who absolutely blitzed the 95 mile route in 4:48, he was simply awesome on the climbs! Oh to be that fit again! Although this event is fairly local to me I was keen to ride it to see which roads the route would use and the result was a very pleasant surprise as I ended up in towns I knew but on roads I didn’t. With four distances on offer, the full ‘Classic’ distance of 153km including the climbs of Yorks Hill, Toys Hill and the infamous ‘Wall’ looked good but a friend’s wedding the day before and a very late night meant this wasn’t an option as I struggled out of the start. I opted for the 105km route instead. This distance was more than enough with climbs of the ‘Wall’ and the 20 percent Cob Lane to contend with. The worst climb though was definitely out of Ardlingly Reservoir which although is not steep, always catches people out. 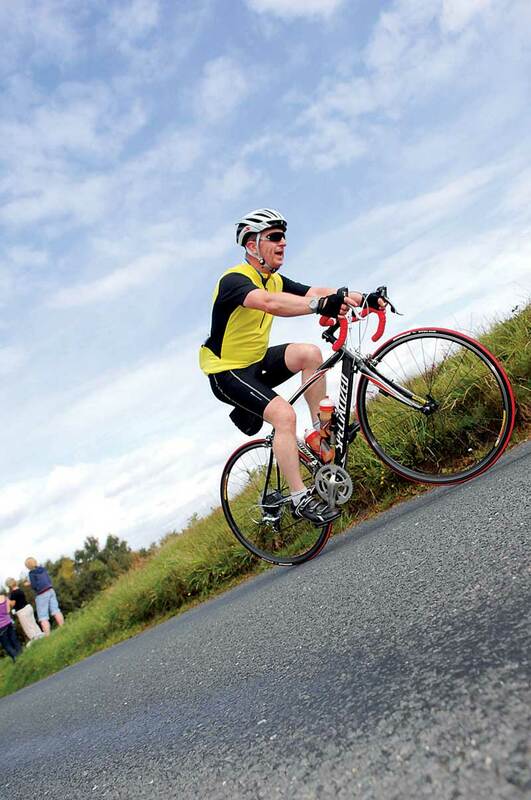 The rest of the course is a mixture of quiet rolling roads, scenic countryside and beautiful villages. The ford crossing early on proved a fun talking point for lots of riders. With the climbs completed, the last section of the course provides a fast finish and a good chance to test the speed in your legs. This is my first time at this event and I will definitely be back. The route, organisation, signage and well stocked feed stops including indoor toilets were all excellent. The free food in the goody bag at the finish was just what was needed. Instant timing made certificates at the finish possible so no one went home empty handed.